Eschew the tourist crowds and head to Bellevue Beach and The Archipelago Trail. Change things up with these side-trips from Turku: Tulliniemi Nature Path (in Hanko), Rauma (Ruokapuoti Lumo, The Church of the Holy Cross, & more) and Raseborg (Ekenas Old Town & Ekenas Museum). There's much more to do: visit a coastal fixture at Bengtskar Lighthouse, enjoy some diversion at Flowpark, tour the pleasant surroundings at Kupittaa Park, and kick back and relax at Ispoinen Beach and Sauna. 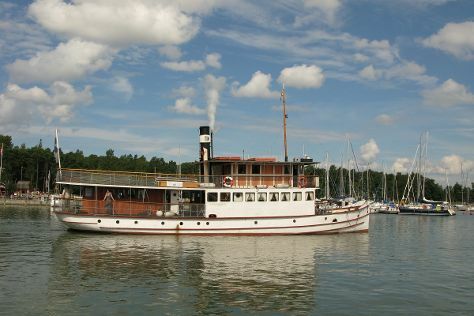 For reviews, where to stay, and tourist information, you can read our Turku visit planner. Expect a daytime high around 9°C in April, and nighttime lows around -1°C. Wrap up your sightseeing on the 1st (Wed) early enough to travel back home.